The new PROSTAFF P3 SHOTGUN scope line helps extend the effective range of your slug gun to 200 yards and beyond. 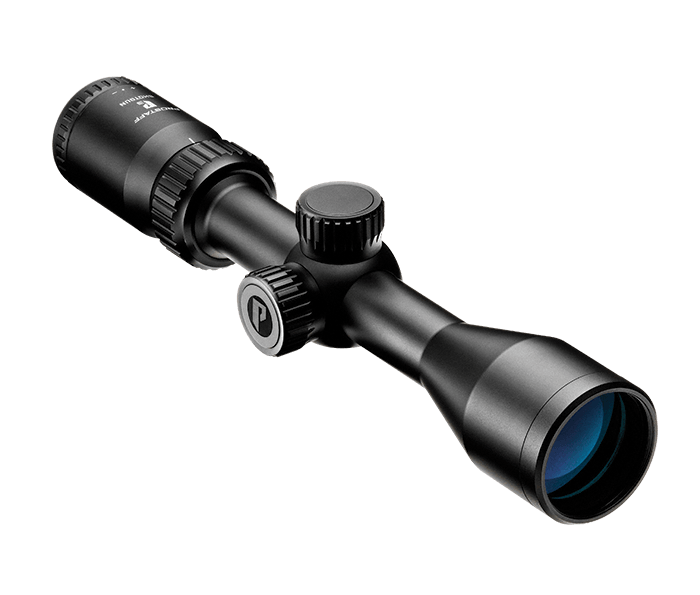 An ideal match for today’s powerful slug loads, these compact and versatile optics feature Nikon’s BDC 200 reticle, precise 1/4 MOA hand-turn adjustments with Spring-Loaded Instant Zero-Reset Turrets and fully multicoated optics for maximum light transmission. Multiple layers of anti-refelctive compounds on every glass surface provide bright and vivid sight pictures, optimum light transmission and maximum brightness from dawn to dusk. The BDC 200 reticle is designed for a 50-yard zero on the crosshair and provides 100, 150, 175 and 200 yard “ballistic circle” aiming points typical polymer-tipped sabot slugs with muzzle velocity of approx. 1900-2000 fps..
Reticle adjustments are made in crisp, positive 1/4 MOA click-stop moves you can both feel and hear. Turret caps are all-aluminum construction for lasting durability. Spring-loaded windage and elevation knobs can be reset to “zero” after sighting-in for easy reference when making field adjustments. Windage and elevation turrets are clearly marked for quick adjustments. for your specific caliber, ammunition and load. Excludes lost or stolen products and intentionally caused damage, and also excludes Nikon Rangefinders, Reflex Sights, Red Dot Sights, StabilEyes Binoculars and Specialty Optics.